Hands On Health Care Clinic > Blog > Headache > Can your chiropractor resolve your headaches? Headaches and migraines are incredibly debilitating for sufferers especially when experienced regularly or for extended periods. They result in lost work hours, sick days, withdrawal from family and friendships and an inability to perform many tasks of daily living. So the question is… Can your chiropractor resolve your headaches? While there are many causes of headaches, one often overlooked cause is the ‘cervicogenic’ headache or headache originating from the cervical spine (the neck). 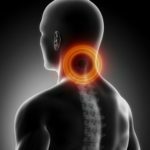 The alignment of the cervical spine and head are are a specific balance of proper muscle length and function as well as proper range of motion to the joints. With the massive growth in smart phone/tablet use and often poor desk postures at work, our heads are often held in detrimental and stressful positions which put the muscle and joint balance out. As a Chiropractor we are expertly trained in joint manipulation and we excel at restoring proper range of motion and function to cervical (neck) joints. The alignments are gentle and effective and often result in an immediate cessation of headaches and migraines. 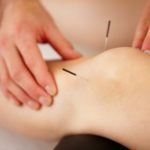 In combination to gentle re-alignment, we use muscle release techniques, musculoskeletal dry needling and kinesiotaping to restore and maintain proper neck and head movement for the long term. Chiropractors at Hands on Health Care Clinic are hold Masters qualifications from Macquarie University and employ only the most up to date and scientifically backed treatments to get your headache or migraine resolved quicker.